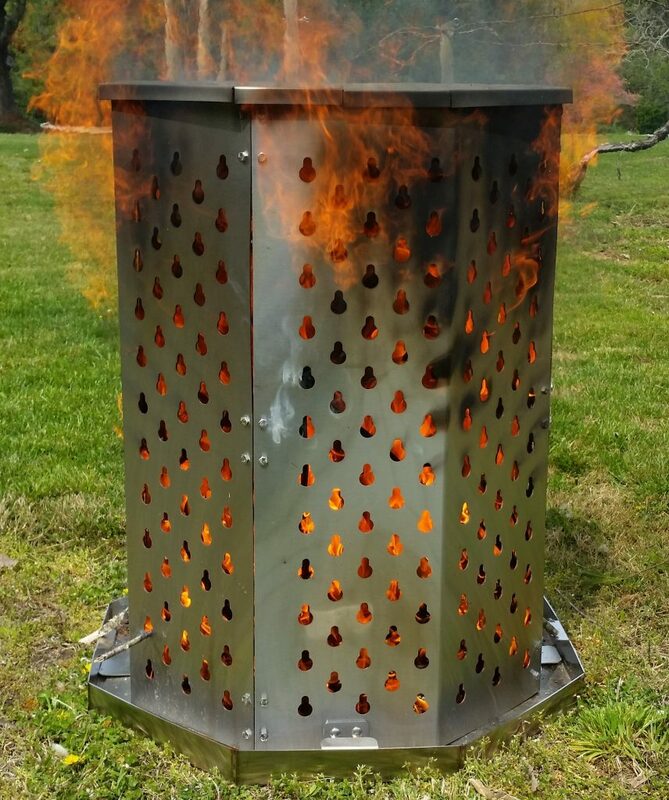 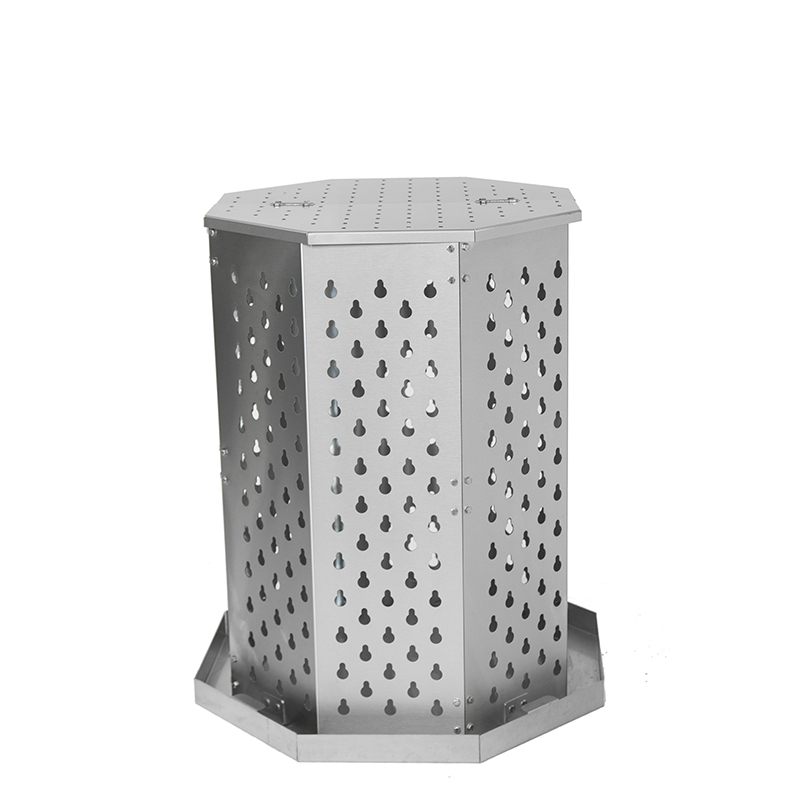 The Wilmington Grill Stainless Steel Burn Barrel / Incinerator is made from high quality, thick 14 gauge 304 stainless steel for long lasting life and safely replaces rusty, old burn barrels. 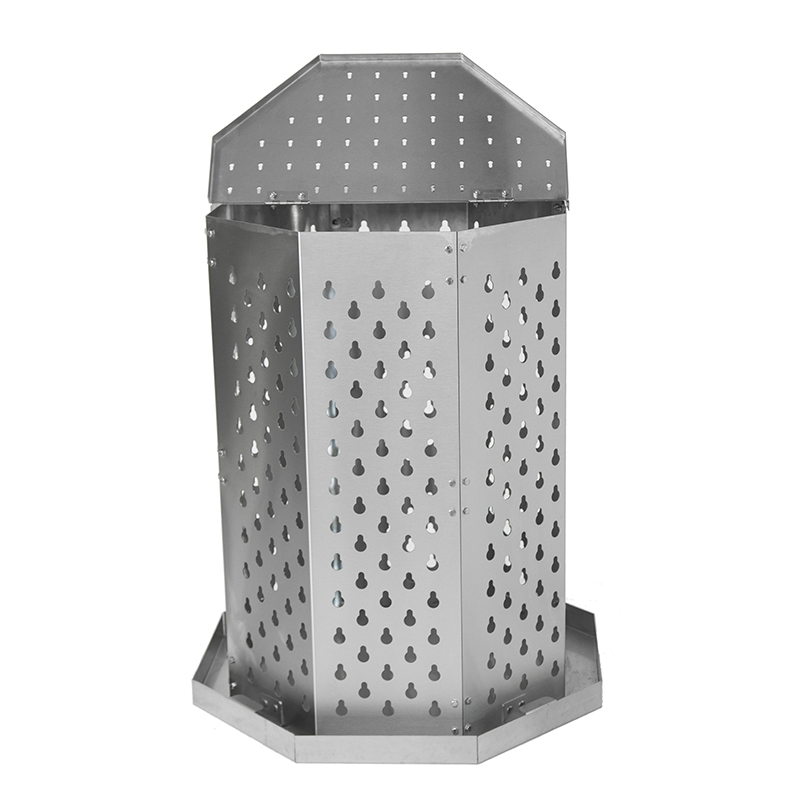 The unit has a temperature rating of 1700 degrees-F, with an octagonal design that adds to strength and durability. 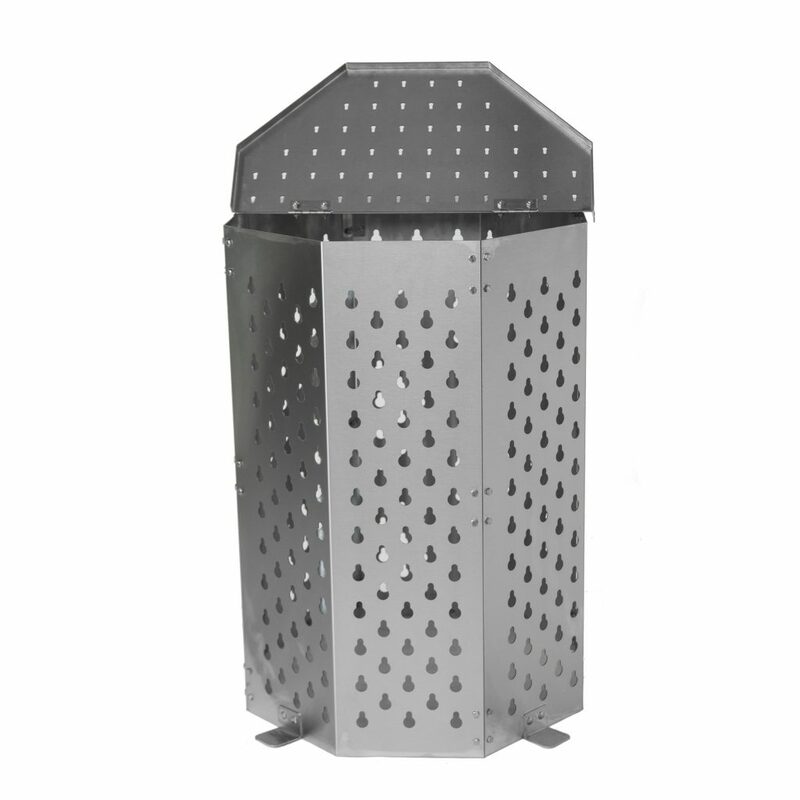 The barrel comes with a hinged lid to catch embers and an optional ash tray to make clean up easy. 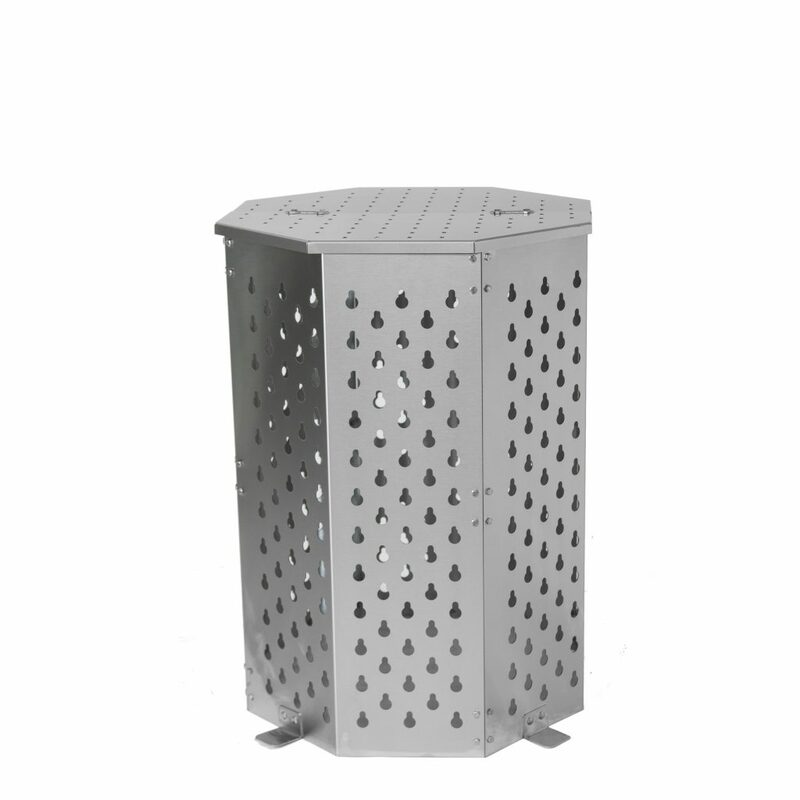 Ventilation holes built into the unit provide better air flow and ideal burning conditions that will safely burn a variety of materials.